This program is designed to allow people involved in working alone to undertake a valid risk assessment of working alone and to act on that risk assessment in their workplace. The course defines what working alone is and then follows a step by step risk management process looking at the hazards associated with working alone, the way the risks can be assessed, the way these risks might be eliminated and the control methods that can be used to reduce risks to an acceptable level if elimination of the risks is not possible. All workers and their management involved in tasks that require staff to work alone. 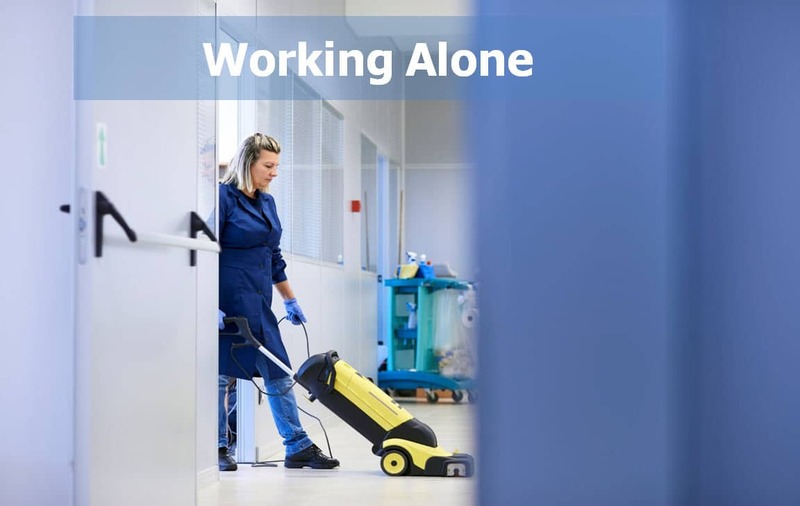 The course defines what working alone is and then follows a step by step risk management process looking at the hazards associated with working alone, the way the risks can be assessed, the way these risks might be eliminated and the control methods that can be used to reduce risks to an acceptable level if elimination of the risks is not possible. The course then looks at how a process of monitoring and review can be carried out to make sure that the process continues to work effectively. The program concludes with a practical guide to what workers can do to look after their own safety when working alone. The course is followed by a quiz which requires a pass mark of 80% to be considered competent.